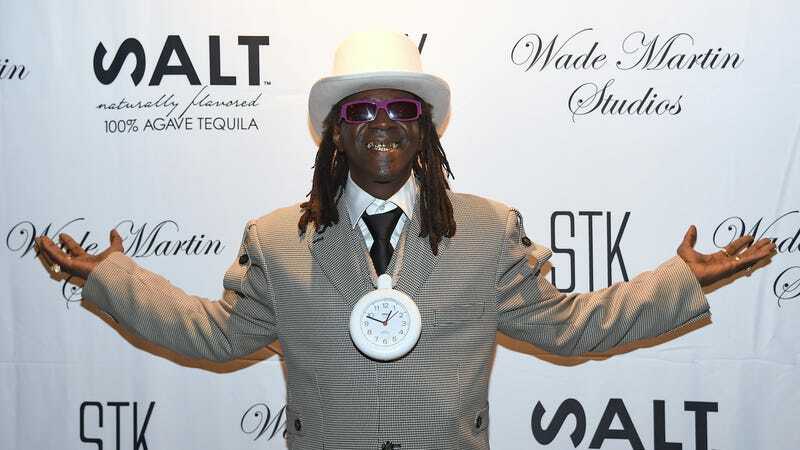 The big chest-mounted timepiece is pointing to sue o’clock, apparently, because Flavor Flav is taking his former comrades in Public Enemy to court. Per The Hollywood Reporter, the world-famous reality star, rapper, and hype man—born William Jonathan Drayton Jr.—is suing the group over what he says were unauthorized usages of his image and voice, and unpaid royalties from his songwriting contributions and merchandising deals with the group. Flav also contends that various payments he says he’s owed for his contributions to the group have dried up in recent years, and that Chuck D and various members of the band’s management team have refused to give him an accounting of why. Flav is suing D for damages, with the amount to be determined at trial.